Let’s face it, last week was one rough ride in the news. It has been almost two years since 11.9 occurred and I find myself utterly exhausted by the news and constantly seeking some respite. I think I found a perfect solution last week. 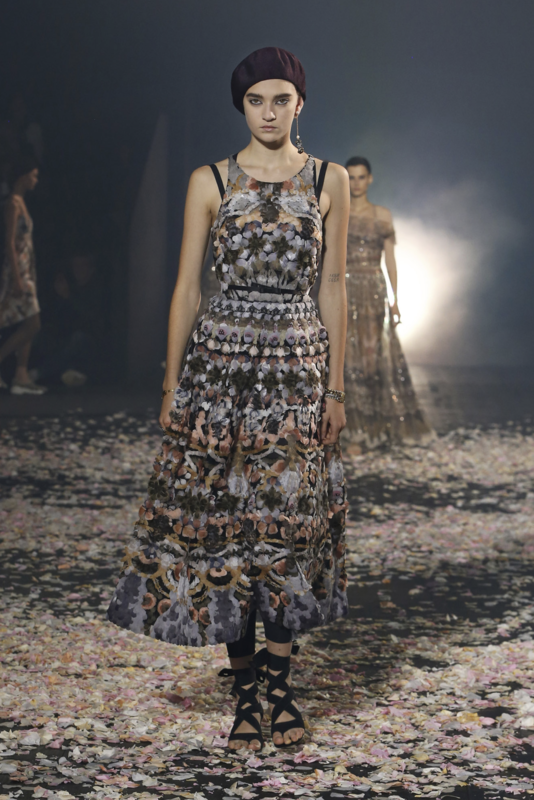 Dreamy Dior! Instead of sweating about the Supreme court, I was tantalized by taffeta. 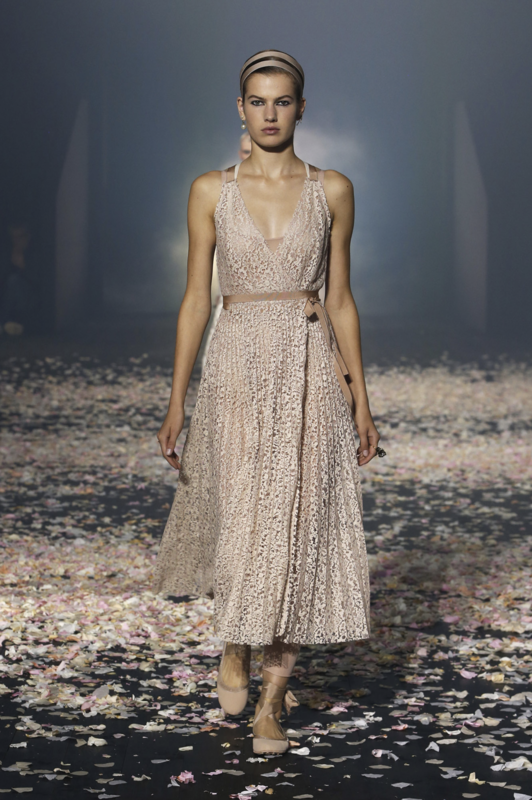 I have Maria Grazia Chiuri and her brilliant Spring/Summer 2019 collection for Dior to thank. Want to join me in a little review of the collection and escape for a bit? Let’s do it. A WALL OF QUOTES GREETED GUESTS GIVING A HINT OF WHAT'S TO COME. If you follow me, you know I love Mario Grazia Chiuri more than most people should. I think she’s a genius and her move from Valentino to Dior has been proof that her genius knows no bounds! Of course, this collection was nothing short of that. 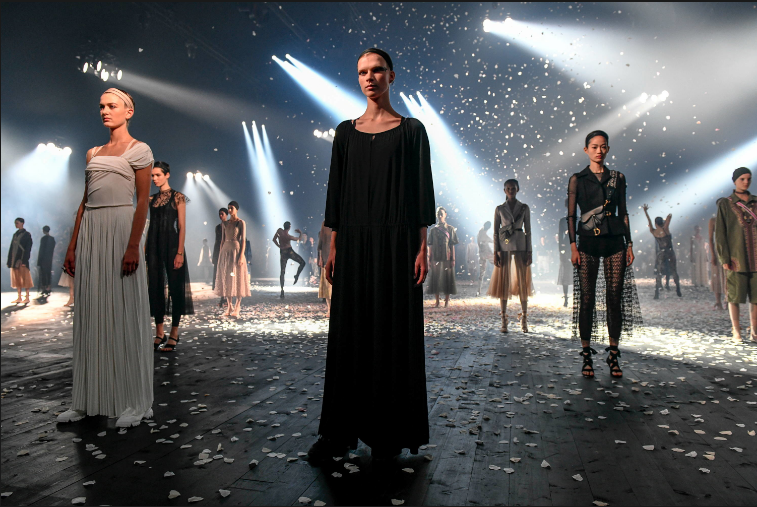 Grazia’s inspiration for this show was the movement of dancers, telling Vogue prior to the show, “I took great inspiration from the work of a number of artists, including Loïe Fuller, Isadora Duncan, Martha Graham and Pina Bausch, who used dance as a way of breaking free.” This year, the show was held at Hippodrome de Longchamp, instead of her usual venue the Rodin Museum. 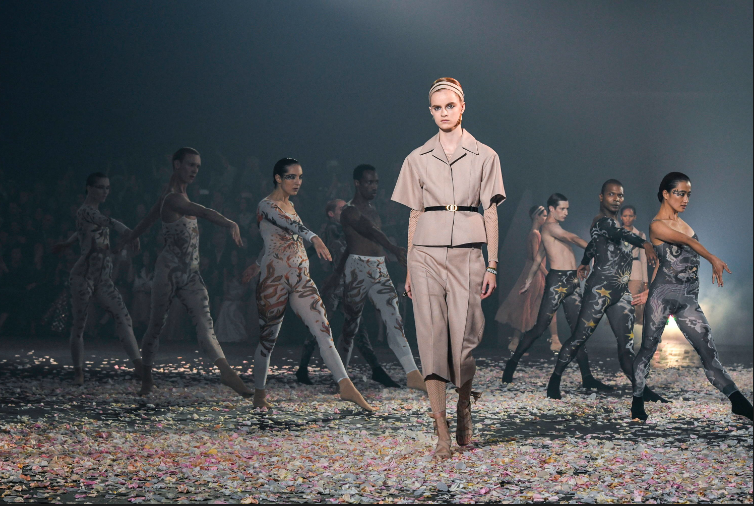 The racecourse on the outskirts of Paris proved useful in helping Grazia unveil 87 looks, many performance dancers, and one majorly exciting show! 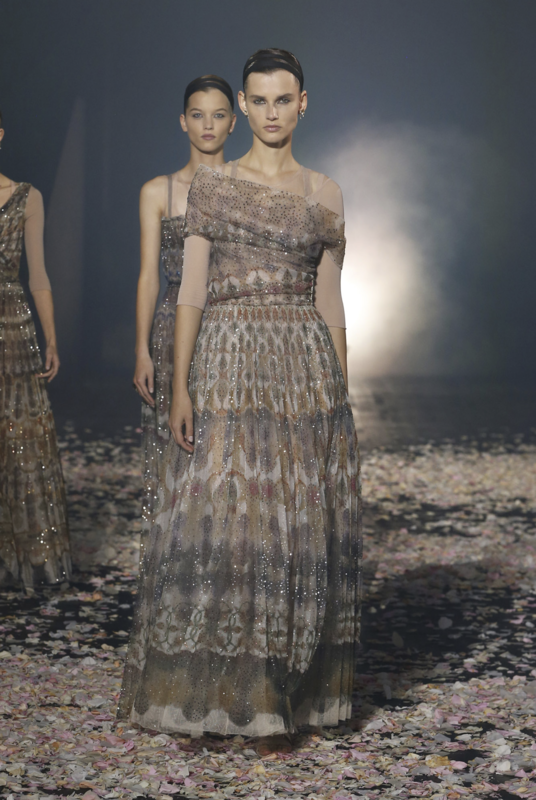 DREAMY DRESSES CAPTURED. All images courtesy of Dior unless otherwise noted. A TAKE ON POWER DRESSINGImage courtesy of Vogue. LAYERS AND LAYERS OF SOFT TULLE. 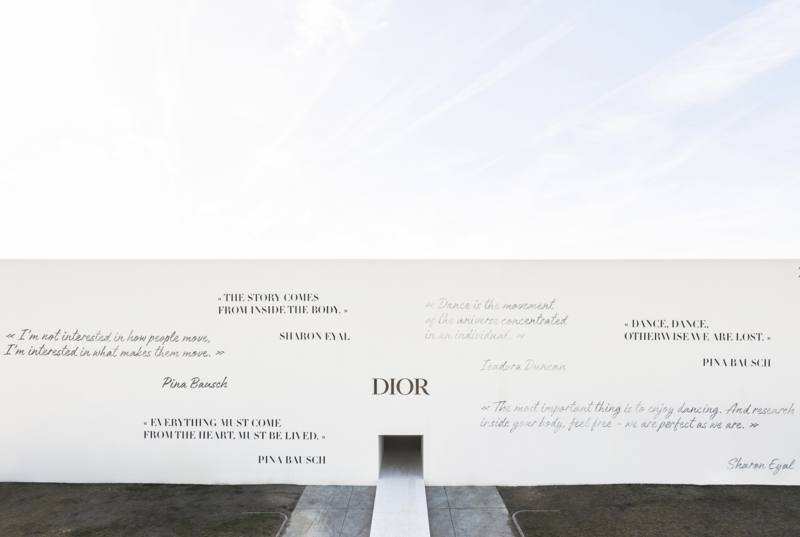 Guests were welcomed to the show by a constructed wall of canvas that covered the exterior of the venue and was covered in quotes from famous dancers. 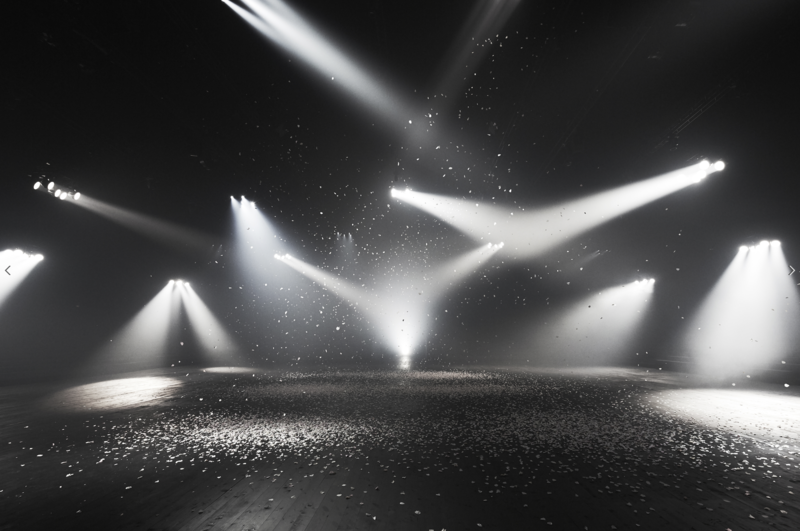 Duncan, Bausch, and Eyal were among them with quotes like “Dance is the movement of the universe concentrated in an individual”and “The most important thing is to enjoy dancing. And research inside your body, feel free – we are perfect as we are”. 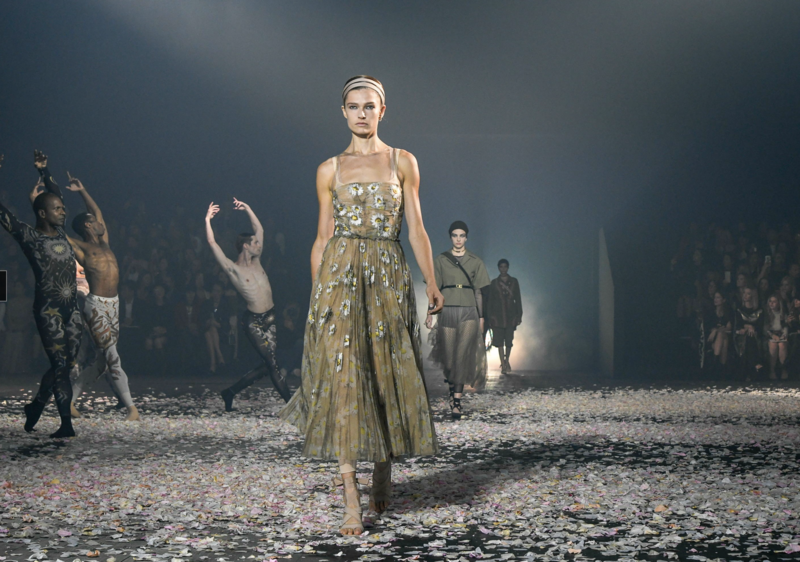 MODELS SHARED THE STAGE WITH PERFORMING DANCERS. So cool! BERETS AND LACE UP SANDALS TOPPED OFF THESE LOOKS. 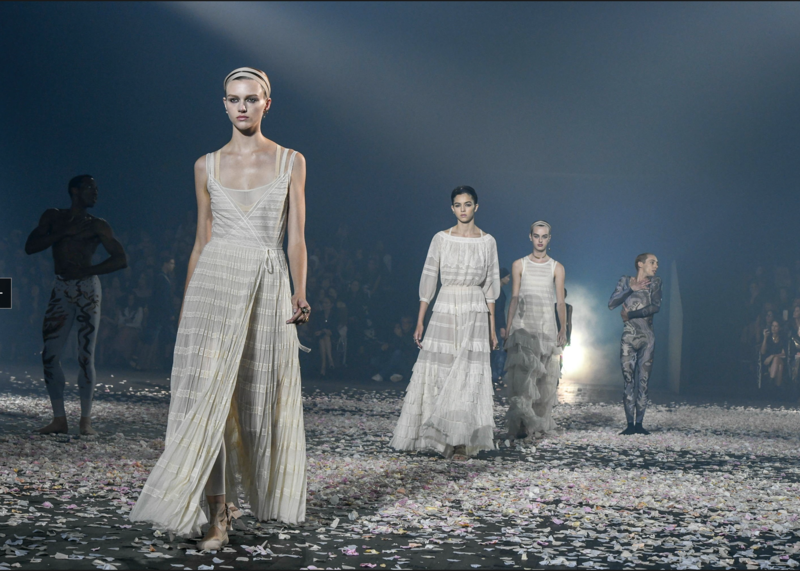 HOW GORGEOUS IS THIS PARADE OF WHITE?Image courtesy of Vogue. Overall all the show was filled with dreamy looks, powerful messages, and an overall beautiful performance turned out again by Chiuri. I told you it would feel like an escape. If only to have been there in person! Now that is something to dream about! BRAVA MARIA GRAZIA!Image courtesy of Vogue.